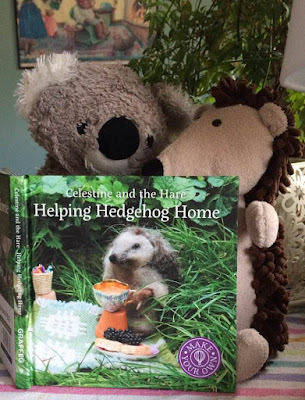 As you may know, I've been working as a childrens bookseller and reviewer for over 10 years. It is a job I love, not the least for the huge number of new and exciting books I get to see published every year. Sometimes, I feel that some of the very best books get lost in the sea of new, exceptional books placed before the world in a constant parade. So, as time passes, we 'forget'...or rather don't point them out as effectively as we could, simply because there are so many really fantastic reads appearing. (Don't get me wrong....that is a very, very good thing.) 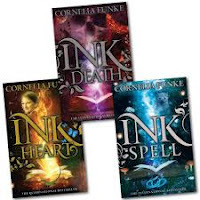 However, I thought that, as August is half way through now and shortly will come the onslaught of fabulous, brand new kids and YA titles ('tis the season and all that), I'd take a minute to remind myself...and you, dear readers...of a few of the books I've come across in the last decade that I still love, that are still incredible reads, and that the young and young at heart still deserve our undivided attention. An exciting fantastic adventure into a miniature world with the smallest hero imaginable. 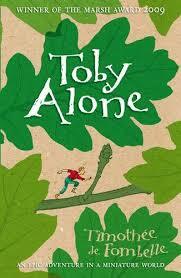 Toby Lolness is just one and a half millimetres high and he is the most wanted man in his world, the Great Oak Tree. His father has made a ground-breaking discovery as to how to tap directly into the energy of the tree, but realises that revealing this secret could permanently damage their world forever. When his father and mother are taken hostage, Toby escapes...and it's down to him to save the world. A beautiful and gentle read; moving and thought-provoking story with mystery and meaning. Alan has lived all of his life in Dublin, so is not pleased with the familys' move to the country side. Then he finds a mysterious locked room in his house, with a tragic story of a young boy called Albert. 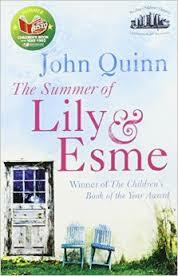 When Lily and Esme, the two very old ladies living next door begin to call him Albert, he gets worried. With his new friend Lisa, he discovers the story of another summer 70 years ago, and gives the old ladies their fondest wish. Next year, this book will be 25 years old. Never out of print, and always treasured. Unforgettable! Still my favourite fantasy book (series) of all time, this one is absolute magic! Meggie loves books, as does her father, Mo. He has never read aloud to her since her mother mysteriously disappeared when Meggie was very small. They live in peace surrounded by books until one night, a stranger knocks at their door. Dustfinger bears a warning that forces Mo to reveal a storytelling secret that changes their lives forever. Simply astonding! I believe that everyone should read Skellig at least every 2-3 years. It changes your perspective. When a move to a new house coincides with his baby sisters' illness, Michael is left alone and uncertain. One Sunday afternoon, he goes into the run-down, falling apart garage at the back of his property and discovers something very strange and magical; a 'man' who is part owl, part angel and very ill. Skellig needs Michaels' help. With is baby sister in hospital, Michael, with the help of Mina, nurses Skellig back to health. But Skellig is far more than he appears to be, and Michaels' world is about to change forever. Coriander's idyllic childhood disappears when her mother dies. Instead, left with her cruel, strict and puritanical step-mother, Coriander finds herself locked inside a chest and left to die. But she emerges in the fairy world, from which her mother originally came. When she returns, Coriander is charged with a mission to save both realms. 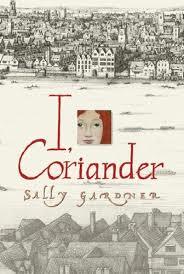 Part historical fiction, part mystery, part fairy-tale; I, Coriander is pure enchantment. A compelling read from start to finish, riveting, captivating and beautifully crafted. Abilene adores her blue china rabbit, Edward Tullane. But Edward is extremely vain and loves only himself. On an ocean voyage from New York to London, Edward falls overboard and finds himself on an incredible journey. In his travels, he is in the company of tramps, works as a scarecrow and comforts a dying child. But more importantly, he finally learns the truth about himself and the true nature of love. Kate DiCamillo simply cannot write a bad book. This one will remind you a bit of The Velveteen Rabbit, but it will go a bit further. 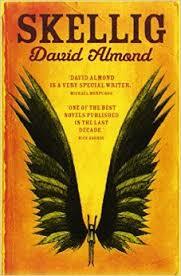 A truly sensitive and beautiful novel, exquisitely written and a real treasure. 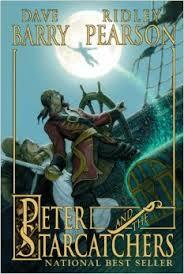 A swashbuckling tale that gives us the origins of Peter Pan. Peter is an orphan living in London. When he and his friends board the ship, Never Land, he discovers a chest full of starstuff, the most magical substance ever known. He and new friend, Molly must stop a dastardly and all-too-familiar pirate from stealing the starstuff. Shipwreck, chased by pirates, kidnapped and a giant crocodile...how will it all end? A fabulous prequel to a beloved childhood story. Technically, this is called cheating. 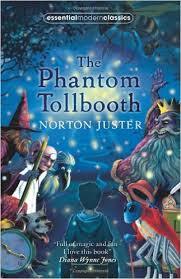 A classic from my childhood, originally published in 1961, The Phantom Tollbooth is magical and timeless. Milo is bored with absolutely everything in his life. One day, a large package appears; One Genuine Turnpike Tollbooth. So he hops in to his pedal car and is whisked away on an extraordinary journey through The Land of Expectation, the Doldrums, The Mountains of Ignorance, The Castle in the Air.....having incredible adventures and meeting the most unusual characters. His life is never boring again! A must! I wanted to take just a moment to remember the incredible Tove Jansson. Jansson was born today, 9th August in 1914 in Finland. Jansson was a Swedish-speaking Finnish author, artist and comic strip author. 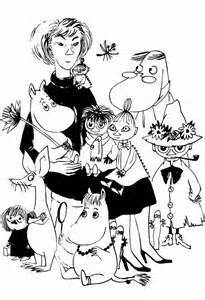 She went on to give the world some of the most beloved characters of all time, the Moomins. With nearly 30 adult and childrens books to her repertoire, she won over a dozen awards for her work, including the Hans Christian Andersen Award in 1966 for her contribution to childrens literature. 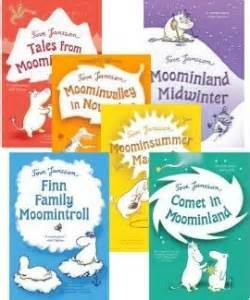 The Moomins are some of my favourite books. Magical, gentle, funny and philosophical, each one is an absolute delight. Tove Jansson died on 27 June, 2001 at the age of 86. 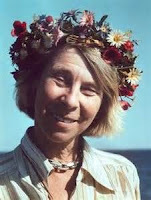 Thank you, Tove Jansson....and Happy Birthday.